Now this is a giveaway that I'm excited about (and I'm sure you are too)! To celebrate the release of her new book, the very awesome Laura Griffin (I'll have reviews of two of her books up shortly) is giving away a $25 gift card to Barnes and Noble via my blog! Thank you Laura! One lucky person will win. The rules: You must be a follower of either my blog or the Twitter for my blog. Enter by leaving a comment to this post with your email (if I can't contact you, you can't win) indicating how you follow. If you follow both the blog and the Twitter, you'll receive two entries. New followers are welcome to enter. The deadline to enter is 11:59pm Pacific on July 10. Winner will be selected at random. Open to US residents. A Musing Mother, Cheryl F., and Andie have each won a copy of City of Dreams. Congratulations! When she was in her early teens, Margaret Fuchs lived through her parents being accused of Communism (which turned out to be true) and the aftermath of her father’s testimony before the House Un-American Activities Committee. Not knowing if the harsher accusation of being spies was true, she later researched her family’s past; Legacy of a False Promise is the result of her investigation. At the beginning of chapter eleven it’s revealed that this is not the first time the author wrote about discovering her parents’ Communist past; she also wrote a school essay on the topic during her senior year of high school. About this Fuchs (now Fuchs Singer) says, “The essay was devoid of emotion; frustrated and blocked, I just couldn’t get the feelings out, but my teacher insisted I send it to a writing contest anyway.” All these years later, the lack of emotion is still evident as much of the incredibly interesting story is told in a detached manner. Parts read more like a third party was the writer rather than someone who actually lived through the ordeal. But Fuchs Singer did her research (sources are provided) and this glimpse into one family’s experience of the McCarthy Era is well worth the time it takes to read Legacy of a False Promise. Thanks to Hachette, you can win the audiobook version of Joshilyn Jackson's Backseat Saints. There will be two winners. "Readers willing to stick through a slow beginning will be rewarded in Jackson's eventually riveting fourth novel (after The Girl Who Stopped Swimming). When abused Rose Grandee isn't getting up the nerve to do something about her violent husband, Thom, she reminisces about high school sweetheart Jim Beverly, who once promised to kill Rose's alcoholic father. Rose is also consumed with memories of her mother, who abandoned her when she was a little girl. During what seems like a chance meeting, Rose receives a tarot card reading and is told she'll have to choose between her husband's life and her own, though Rose later realizes, conveniently for the plot, that the card reader is her estranged mother. Egged on by the prophecy, Rose searches out Jim and plans on manipulating him into killing Thom, leading to a tense final section that crescendos with an ending appropriate for a woman with so much fight in her. Though Jackson does a good job conveying Rose's uncertainty and ambivalence, the initial sounding of these themes comes off as redundant and overly long; later, Jackson's writing becomes kinetic, reflecting her heroine's metamorphosis. " The rules: Enter by leaving a comment to this post with your email (if I can't contact you, you can't win). You can gain additional entries by leaving separate comments letting me know that you're a follower or have posted a link to the giveaway on your site. Gain yet another entry by following my blog's Twitter! The deadline to enter is 11:59pm Pacific on July 10. Winners will be selected at random. Since this is from Hachette the winners must have mailing addresses in the US or Canada; no PO Boxes. Shortly after I started Backseat Saints, I wasn’t sure if I was going to like it. At the center is Ro (or Rose Mae), who was abused by her father, abandoned by her mother, and now lives with an abusive husband. That should evoke some sympathy, but Ro also quickly reveals she doesn’t like cats (granted, she is allergic) and then shoots her dog as she attempts to murder her husband. For all her bragging about being a great shot, Ro completely misses her husband and hits the dog. She’s remorseful, but I couldn’t garner sympathy for her situation. Furthermore, Ro reveals her reason for staying with Thom not long after the shooting—she actually seems to take some sort of sick pleasure in their relationship and has intentionally antagonized him at times in order to provoke the abuse. At a later point in Backseat Saints, Ro says her father gave her the abuse she “needed.” Ro is in desperate need of the therapy she lies about to a woman (from gods in Alabama) who went to high school with her. I never could get behind Ro, but I liked Mrs. Fancy and Bunny. Although it was never directly addressed and Ro seemed to believe it was coincidence, I think Mrs. Fancy knew exactly what she was doing when she asked Ro to take her to the airport and then pointed out the palm reader. I also like to think Mrs. Fancy’s offering of shoes was pointed too. There are a few little bits that led me to that conclusion. (I’d like to see Mrs. Fancy become the center in a book of her own.) So somehow, I did end up enjoying the book. I relished Joshilyn Jackson’s writing and the plot she created. The twists were incredible; the ending was an absolute shocker. Want some fashion advice from someone with more than 30 years in the industry? Thanks to Hachette, you have the chance to win one copy of What to Wear for the Rest of Your Life by Kim Johnson Gross. "Every woman's closet-no matter the size-is a room of her own. In that space hang side by side the special occasions and the everyday, the triumphs and the disasters, the memories we want to keep and those we should jettison. Gross helps us to reconsider our closet identity and discover who we want to be. She shares her personal journey and the intimate, poignant and often humorous stories of the dozens of women she interviewed across the country. Along with calming fashion advice about how to choose flattering clothes that will fit any woman's shape and style, Gross's engaging stories will help every woman evolve gracefully from wife to mother, from empty-nester to globe-trotting adventurer--whatever role she chooses--while letting her style express her inner beauty." The rules: Enter by leaving a comment to this post with your email (if I can't contact you, you can't win). You can gain additional entries by leaving separate comments letting me know that you're a follower or have posted a link to the giveaway on your site. Gain yet another entry by following my blog's Twitter! The deadline to enter is 11:59pm Pacific on July 3. Winners will be selected at random. Since this is from Hachette the winners must have mailing addresses in the US or Canada; no PO Boxes. It’s time to get a Style Mentor! That’s the declaration made in What to Wear for the Rest of Your Life. Kim Johnson Gross provides a list of her own Style Mentors, why they are hers, and what she’s learned from them. She then gives tips on how to find Style Mentors of your own. Beyond the Style Mentor tips is a collection of advice on creating a closet to last a lifetime. I’m a big fan of fashion books (and magazines and TV shows), so of course I couldn’t resist picking up What to Wear for the Rest of Your Life. What I didn’t realize until I got into it is that it’s intended for the 50+ crowd; oh well, there’s worthwhile bits for all ages even if I didn’t relate to Johnson Gross’s stories. The stories do make the book stand apart from other fashion advice books. Some of this book actually comes from the author’s column in More magazine. Although the stories are interesting, they do sometimes bury the actual advice. The best advice (in my opinion) comes near the end in the chapter about closets. (I have an obsession with closets; a bad bedroom closet design can make me hate an apartment.) Johnson Gross says, “If my closet feels stuck in a rut, it means that I am. That is not a signal to run out and buy new clothes, but I should take a fresh look at what I am wearing and why.” This is advice that I am going to try to heed. Review copy provided by the publisher, Springboard. The Impostor's Daughter by Laurie Sandell is coming out in paperback!! I loved this graphic novel. Hachette is offering five giveaway copies, so you have the chance to read it and love it as well. "In this delightfully composed graphic novel, journalist Sandell (Glamour) illustrates a touchingly youthful story about a daughter's gushing love for her father. Using a winning mixture of straightforward comic-book illustrations with a first-person diarylike commentary, Sandell recounts the gradual realization from her young adulthood onward that her charming, larger-than-life Argentine father, bragging of war metals, degrees from prestigious universities and acquaintances with famous people, had lied egregiously to his family about his past and accomplishments. Growing up with her two younger sisters and parents first in California, then in Bronxville, N.Y., the author records signs along the way that her father, a professor of economics with a volatile temperament and autocratic manner, was hiding something, from his inexplicable trips out of town, increasing paranoid isolation, early name change from Schmidt to Sandell, to massive credit-card fraud. Interviewing her father for her first magazine article, the author resolved to check his sources and even flew later to confront his past in Argentina, only to discover the truth. Feeling betrayed, guilty for exposing him and mistrustful in her relationships with men, Sandell numbed herself by abusing Ambien and alcohol. Her depiction of her rehab adventure is rather pat and tidy, and she does not address the notion that her own creativity might have sprung from her father's very duplicity. However, Sandell's method of storytelling is marvelously unique and will surely spark imitators." The rules: Enter by leaving a comment to this post with your email (if I can't contact you, you can't win). You can gain additional entries by leaving separate comments letting me know that you're a follower or have posted a link to the giveaway on your site. The deadline to enter is 11:59pm Pacific on July 3. Winners will be selected at random. Since this is from Hachette the winners must have mailing addresses in the US or Canada; no PO Boxes. On the surface Paradise Heights seems idyllic—lush surroundings, good schools, and a fairly close-knit neighborhood filled with people who have money to spend on extravagances. But of course, nothing is as it seems. The well-to-do couples of Paradise Heights aren’t exactly the happiest people in the world. Even so, it comes as quite the shock when one of the women (DeeDee) finally decides to do something about it and leaves her family. Granted, she does hire a lawyer to get custody of the kids and house, but her motivation seems to be more about sticking it to her soon-to-be ex. This event changes everything for another woman in the neighborhood, Lyssa. Her children are friends with the children of the divorcing couple, but Lyssa and her husband never really associated with the parents (in fact, DeeDee mistakes Lyssa for a Nordstrom shopgirl!). Now, Lyssa takes it upon herself to befriend and guide the jilted husband, who really has no idea what to do with his own children since his focus was always his career. As Lyssa and Harry grow closer, the rumors fly; but the accusers just might want to take a peek at their own behavior instead! A few parts of the book dragged and I had figured out who was really having the affair long before it occurred to the people of Paradise Heights, but I found the book enjoyable. I laughed at a few scenes between Harry and the members of the Paradise Heights Women’s League as the (married) women wormed their way into Harry’s life in their own unique ways that fit their respective personalities. Congratulations to Diane and Amy who each win a copy of April & Oliver! I can’t even begin to explain how much I loved My Name Is Memory, but I suppose I’ll have to try since I’m writing a review! The story is told in a non-linear fashion that reveals bits and pieces of Daniel’s history with Lucy, who he calls Sophia. In the present day, Lucy is inexplicably drawn to Daniel during high school, but loses contact with him after a shared moment in a dark chemistry lab during the Senior Ball. Though she continues to think about him, Lucy doesn’t know how to contact Daniel, who is watching her and comes close to contacting her a few times only to stop himself. Back when Lucy was Sophia, Daniel revealed to her all of their shared previous lives and Sophia swore she would find a way to make herself remember Daniel the next time. (You see, some rare people like Daniel are able to remember who they were in the past, but most are like Lucy with only vague remnants such as a birthmark in the place where they were previously injured.) Sophia left clues, but Lucy only starts to uncover them after she and her friends visit a psychic on a lark. Adding to the urgency of finding a way to get Lucy to remember is that Daniel’s evil brother is also in pursuit of Sophia; luckily, the brother can’t recognize souls, but that hasn’t prevented him from finding Sophia/Lucy in the past. It’s a truly amazing story that seemed completely believable even though the plot is far-fetched. One part that's really well done is in regards to Daniel’s brother. Just when I was thinking, "For as much as this character has been mentioned..." the character appeared! My only slight negative about the book was that there was another character I wish had been developed or tied into the plot a little more. Review copy provided by the publisher, Riverhead Books. Hope everyone is enjoying some sunny weather (I am!). You also have the opportunity to win one of three copies of City of Dreams by William Martin thanks to Tor-Forge Books! That’s the text message Peter Fallon receives from a Wall Street bigwig. It’s not a challenge he can turn down, especially since the country is in the midst of the worst financial crisis since the Great Depression. Peter Fallon and his girlfriend, Evangeline Carrington, must find the box—and fast. Suddenly, their race against time becomes a race through time as Peter and Evangeline track the stories of New Yorkers whose lives have been changed by the bonds… and all the while they’ll unravel the thrilling and inspiring origins of the City of Dreams." The rules: Enter by leaving a comment to this post with your email (if I can't contact you, you can't win). You can gain additional entries by leaving separate comments letting me know that you're a follower or have posted a link to the giveaway on your site. The deadline to enter is 11:59pm Pacific on June 26. Winners will be selected at random. Since this is from Tor-Forge the winners must have mailing addresses in the US; no PO Boxes. Congratulations to Carol W. who won The Secret Speech! The author of Revenge Served Cold, Jackie Fullerton, stopped by to address, "In what ways does your background in business and law influence your plots and characters?" Fullerton is an Ohio attorney and businesswoman. As an amateur protagonist, Anne Marshall, needs access that is not normally available to the general public—either through her job or her acquaintances. Anne acquired both by working in the courthouse during the day and attending law school at night. A venue I know well because I’m an attorney who attended evening law school. I lived the law classroom first hand, and felt the dread of facing Socratic law professors. In my first Tort class, when the professor called my name to recite a case, I went into brain freeze. The room spun. Even though I knew the case backward and forward, I stuttered and stammered through the case like a terrified child. The same response Anne had when called upon by Professor Spence. Pursing a law degree at night is grueling. It has been described as a four year boot camp. Your fellow students become your family and your study group becomes your survival lifeline. Anne needed a strong support group. People she trusted and knew she could rely upon. One of my study group members was fond of saying, “A friend will give you an alibi. A good friend will help you hide the body.” My study group friends were good friends. Not that I ever needed to hide a body but Anne needed that kind of loyalty. I admit some of my study group members did find their way into Anne’s study group. And they have been quick to tell me which ones they are. I am constantly calling upon my experiences in business, law and life when developing my characters. Since my stories always involve a murder, the motives and how the characters react are influenced by people I know and have known. For me, the ability to identify with my characters, picture their day to day activity, and know what they will say even before they say it, comes from living it. Through these experiences, I feel I can add a dimension I might not be able to otherwise offer. When her law professor is killed in a hit and run, everyone knows Anne Marshall is going to get involved even though she’s repeatedly warned not to get involved in what could be a dangerous situation (and of course, it does become dangerous for Anne). Anne just can’t seem to resist investigating, especially because the ghost of her father (who she regularly communicates with) urges her on. Anne focuses in on the professor’s former friend, who more importantly also happens to be the ex-boyfriend of the professor’s wife—the wife who has been made to look guilty. As it turns out, there’s another suspect to look at—a college friend who harbors a grudge. All of the characters talked like that, so I couldn’t chalk it up to one character’s strange speech pattern or the formality of a relationship. It really was disappointing that the writing distracted so much from what was an interesting story. Review copy provided by The Cadence Group. Four interconnected women tell their tale in The Art of Devotion. At the beginning, the reader is immediately told that the loss of Sebastian devastates his mother and sister. His sister Adora had devoted herself to him and really goes off the deep end. Eventually she finds some happiness by essentially stealing away the daughter of Miranda, who is married to the best friend Adora's husband. The story unfolds as the stolen daughter prepares to marry--an event the bride-to-be doesn't seem all that thrilled about. The only way I can think to describe the prose of The Art of Devotion is to say that it's beautiful. I was sucked in right away, but then I realized that the descriptive nature of epistolatory (or perhaps, diary) chapters would continue throughout the novel and result in little present action. That's when the story really started to drag. I would've lost all interest if weren't for some of the hints at what the "web of lies" from the back cover would be. I just had this suspicion that Bruce-Benjamin was going to go the V.C. Andrews-esque route with at least some of the secrets being kept. Let's just say I was somewhat right. 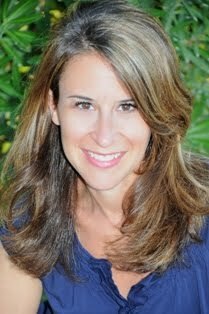 So not only was Allison Winn Scotch awesome enough to answer my "where on earth is Westlake supposed to be" question regarding her latest book (The One That I Want), she also took to time to answer some questions to be shared right here on my blog! One of your books, Time of My Life, is being turned into a film! What has that process been like for you? So far, so good! I’ve been very fortunate in that the producers have taken the time to ask for my insights, as well as taken the time to really, I think, understand the nuance and meaning behind the book, so I really trust whatever it is that they do for it. I don’t think a lot of authors are afforded this consideration, so I feel grateful to have been. They’ve even gleaned some of my casting ideas, so now, my fingers are just crossed for the next step in the process: green lighting the film itself! On your blog you give a lot of insight into the life of a writer along with some great advice. What piece of advice was most helpful to you and who gave it to you? I was fortunate enough, back when I’d written a manuscript that got me representation but didn’t sell to a publisher, to have an old college friend who worked as an editor. She read said manuscript and told me that I could be a really excellent writer but I didn’t understand quite how to write a solid book just yet. She told me how I used too much exposition and how I needed to create more action, and though this wasn’t ADVICE, I’d say that the lessons she imparted: that you’re never as good as you think, and that there is always room for improvement, were and are the most valuable ones I’ve learned along the way. Constructive criticism, in this field, is a BLESSING, and aspiring writers should be wise to listen to it when offered. What was y our favorite book as a child? I’m not sure as a child – I loved a lot of Judy Blume and Beverly Cleary – but as a teen, I was obsessed with Stephen King. I mean, couldn’t get enough of him. The Stand is probably my favorite of his, but I read them all from Cujo to Christine to Pet Sematary. What book (your own or someone else's) has had the most impact on your life? Oh gosh, what a big question! Well, this might sound strange, but along with her constructive advice, my editor friend whom I mentioned above, recommended that I read Good Grief by Lolly Winston. She said that she thought that was what I was capable of, but that I needed to read it to figure out how to build a book properly. I read it – and LOVED it – and it all sort of clicked into place...how to, well, actually write a book, as opposed to how I thought you wrote a book. :) So I’d say Good Grief because I sincerely don’t know if I’d have written my debut without reading it and finally “getting” it. The One That I Want by Allison Winn Scotch takes place in a small town in Eastern Washington—probably not too far from where I grew up! Turns out the setting was actually a bit of a distraction for me during the first 50 or so pages because of some inaccuracies; however, those inaccuracies will likely only be noticeable to others from the region and don’t detract from the plot, which is excellent. Essentially this book comes down to something all too familiar for anyone from a small-ish or small hometown: how stuck you can become. In this case Tilly doesn’t mind being stuck; she likes her hometown. In fact, while many people want to leave all memories of high school far behind them, Tilly loved it so much that she went to work there as a guidance counselor. She’s decided that her life will be perfect once she and her high school sweetheart turned husband have a baby. What Tilly doesn’t realize is that her life is about to change dramatically. After an encounter with a former friend, Tilly starts having visions about bad things to come (her recovering alcoholic father getting drunk, her husband leaving her)…and then they start coming true! Slowly, Tilly comes to learn that moving beyond high school can actually be a good thing. My only real complaint with this book was the location description not being totally accurate (a small town in the northwest is not anywhere near 81,000—I hope that was a typo); but overall the story is incredibly relatable for anyone who didn’t grow up in “the big city.” I know people who are just like Tilly and her friends and family. The One That I Want is a must read. Summer is almost here!! (That's my favorite season.) To celebrate I'm offering via Hachette two copies of Tess Callahan's April & Oliver. "In this memorable debut, Callahan offers a uniquely funereal love story that focuses on a stagnant friendship-turned-untenable romance between unlikely life-long friends. To deal with the death of her immediate family, as well as the scars of childhood abuse, April assumes the role of the jaded wild child; Oliver, her once-inseparable childhood companion, has become her polar opposite, an engaged law student poised for success. Estranged during Oliver's college years, the two reconnect with troubling results. Callahan's descriptions are vivid, and often paired with charming flashbacks to more innocent times, providing stark contrast to the tumultuous course of April and Oliver's young-adult lives. Callahan's narrative takes some supporting-character detours from the principles' love-hate relationship, including an abusive boyfriend; a manipulative and dangerous family friend, and April's strong-but-slipping Nana. 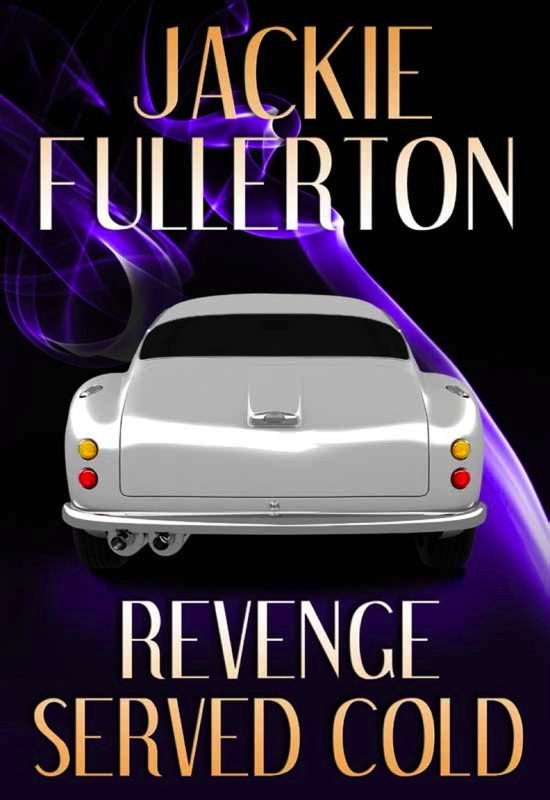 Callahan's poetic style and grasp of emotion gives proper weight to April's loss and Oliver's secrets, and is sure to engage, sadden, and enthrall readers, especially in a bittersweet, somewhat surprising finale." The rules: Enter by leaving a comment to this post with your email (if I can't contact you, you can't win). You can gain additional entries by leaving separate comments letting me know that you're a follower or have posted a link to the giveaway on your site. The deadline to enter is 11:59pm Pacific on June 19. Winners will be selected at random. Since this is from Hachette the winners must have mailing addresses in the US or Canada; no PO Boxes.